Power Xpert 9395 UPS combines technical innovation with a rich feature set to provide best-in-class power protection with high energy density for large data centers, healthcare applications, and other critical systems. Premium level efficiency cuts utility costs, and with double conversion topology there are no compromises in reliability. HotSync paralleling technology ensures this UPS system will fit your current and future power requirements. Strong power performance with active power factor control (PFC) provides unbeatable 0,99 input power factor and minimizes ITHD. This greatly reduces interference with other upstream equipment and enhances 9395 UPS compatibility with generators. 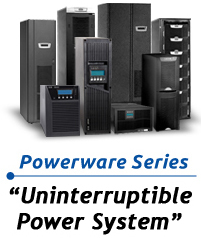 Highest availability and reliability is achieved with Powerware HotSync paralleling technology that enables 9395 UPS to be paralleled for both redundancy and capacity. 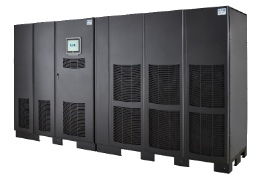 Advanced paralleling options also ensure your UPS system can easily adapt to increasing power requirements.